Quick Take: Dancing With the Stars 14, "Week 5 Results"
The proper way to leave the hardwood. 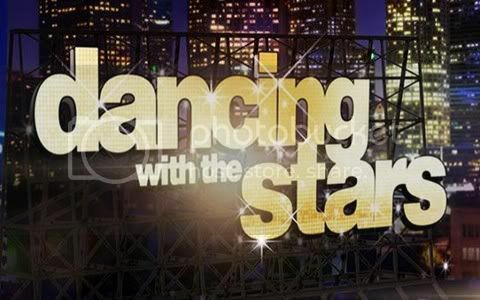 Review: Dancing With the Stars 14, "Week 5 Results"
(S1410) The pace of this week's episode was perfect. I usually find that the result show lags on for no apparent reason. I guess the addition of the Dance Duel has the producers of the show under the gun to get everything in with a decent amount of time. After an encore performance of Maria & Derek's salsa, which I still didn't find that great, we learned that Maria, Melissa & Gladys were safe for another week. I was happy to see Gladys saved since next week is Motown week and I think it will be cool to watch her dance to the music that made her famous sung by the original stars. Coinciding with the release day of their new album “California 37,” Train performed their new single "Drive By." Also hitting the stage were Selena Gomez and The Scene as well as a spectacular performance from Sheila E as part of the Macy's Stars of Dance. In the bottom two this week were Gavin and Karina and for the first time Jaleel and Kym. I hate to say it, but, it was pretty obvious before the dancing began who was going to win the Dance Duel. Both couples had to dance the cha-cha simultaneously and it was definitely no contest. While the judges had positive comments all around for both couples it was a unanimous decision to save Jaleel. And I must say that after Sherri's over-dramatic exit last week it was nice to see Gavin handle his final bow on the dance floor with grace, humility and a bit of humor. It's time for some Motown next week!